Hello I'm Samina and I am the movie expert. This blog will be all about movies good or bad they are. This blog will have new movies, old movies, different genres of movies and my ratings on them. I prefer comedy movies but there will be other movies here for everyone. Maybe not horror movies but I will try to have a mix. I can still review horror, but it might not be a good review! So that is a little information on what you will be seeing on my blog and be sure to comment on whether you agree or disagree with what my ratings are. I hope you enjoy my blog! 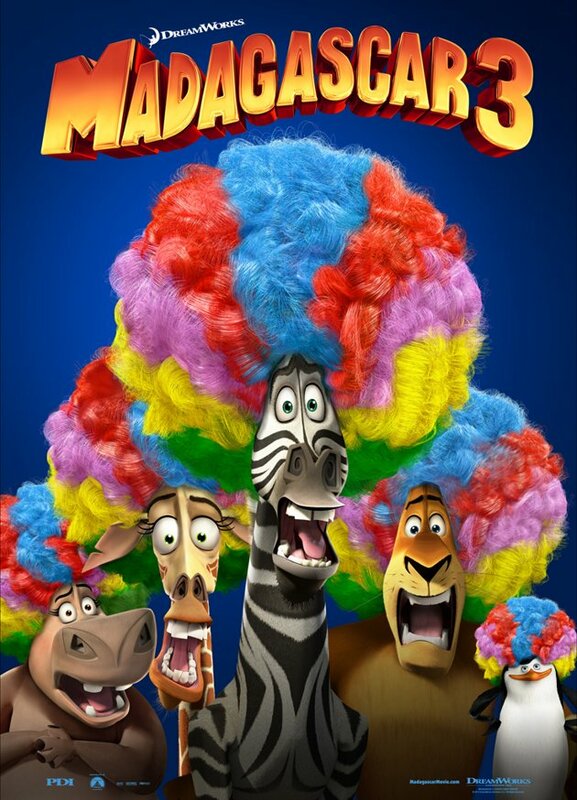 Madagascar 3 Europe's Most Wanted was a humorous and entertaining animated movie. This move was about how a lion named Alex and his friends escaped from the zoo and were running away. Along their journey, they got some help from a group if circus animals. Alex and his friends help the circus become famous again and help the circus animals get a better life. If I were to give this movie a rating, it would deserve a 9/10. This movie was very creative and interesting. I especially enjoyed the part at the end where all the animals did a circus show and made the circus famous again. Overall this movie deserved a 9/10 due to how interesting the plot was and this movie had one of the best endings I have ever seen! How To Train Your Dragon was an animated movie which was released in 2011. This movie was about a boy named Hiccup who lived on an island where everyone fought dragons. Hiccup wanted to do the same but he was very clumsy. His father was a Viking leader so he disapproved of letting Hiccup fight dragons. Hiccup goes on a journey to find a dragon and kill it. Along his journey, he finds a dragon but instead of killing it, he because friends with it. Hiccup and the dragon try to teach his town that dragons are not that bad. I really enjoyed this movie since the plot was very creative. I also liked the message that you need to see the other point of view of the other person on the situation before you do something. If I were to give this movie a rating I would give it an 8/10. This movie was very creative and amusing which is why it deserves such a high score. I did not I've it perfect because I felt like it was missing somethings. I wish there was some humor since I thought the movie was just like a line. It stayed the same throughout the movie and I did not think that there were twists in the movie. Overall this movie deserved an 8/10 because it was very creative but not very interesting. The Lorax was an animated movie which was very entertaining. It was about a man who wanted to find trees. He searched and searched for a real tree when he entered a land full of them. He chopped several trees to make things and along his journey, he met The Lorax. Eventually, there are no more trees left so Ted and the Lorax work together to plant a tree in Ted's home town. This movie consisted of several great characters. Some of the characters are: Zac Effron as Ted, Danny DeVito as The Lorax, Taylor Swift as Audrey and several other amazing characters. If I were to give this movie a rating, it would deserve a 9/10. The movie was fun and entertaining with lots of creativity. That is why I gave it a 9. I did not want to give it a full 10 since this was not my favourite movie. I wish there was some more action in the movie whibecause throughout the whole movie, I felt that something was missing. Overall, this movie deserved a 9/10 for its creativity and entertaining plot. Step Up Revolution is the fourth Step Up movie created and it was very entertaining and enjoyable to watch. This movie was about a group of dancers called the Mob and how they used dance to create and share a message with the public. They used dance to show their emotions and thought and created a lot of controversy. The "Mob" used dance to inform the community about how they disagreed with the plans made by the government to destroy peoples businesses and homes to build new buildings for their own use. This movie had several phenomenal dancers with lots of talent. Some of the man actors and actresses were: Ryan Guzman as Sean, Kathryn Mccormick as Emily, Misha Gabriel- Hamilton as Eddy, Peter Gallagher as Mr. Anderson and several other amazing actors. If I were to give this movie a rating, it deserves a 10/10. I found each scene very creative since they all shared a single message using different styles of dance. There were fast pace songs and there were also slow songs which are two completely different styles yet they shared the same message. I found the dances amazing and entertaining which is why I gave the movie a 10/10. In conclusion, Step Up Revolution was a movie on dance which I enjoyed resulting in a score of 10/10. Catching Fire is the second Hunger Games movie which was amazing! This movie was great because the story was very creative, there were several twists and turns in the story and the amazing actors and actresses. Catching Fire was about how all the previous victors from the past Hunger Games were chosen to be put in the Hunger Games again. 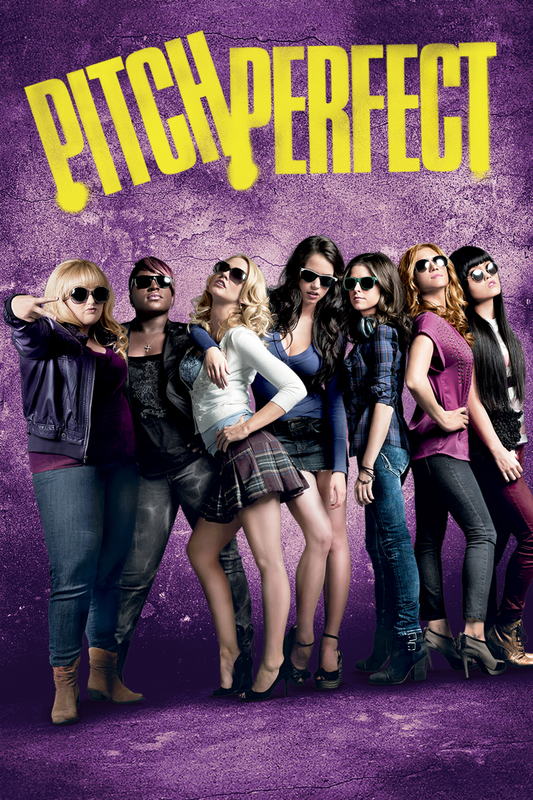 This movie had several amazing actors/actresses that made the movie even better. Some of the actors and actresses were Jennifer Lawrence as Katniss Everdeen, Josh Hutcherson as Peeta Mellark, Jena Malone as Johanna Mason and several other amazing actors and actresses. If I were to give this movie a rating, I would give it a 9.5/10. It was creative and funny with lots of action. That is why I would give it a 9.5. I will not give it a 10 because I am not a fan of suspense and the ending was very annoying to me. That is why I will not give it a full 10/10. Overall this movie deserves a 9.5/10 due to the amazing story but the annoying ending of suspense. Maybe I would have given this movie a 10/10 if there was no suspense. Ever since I was little, my favourite movie of all time was Monsters Inc. Then, when I heard that a sequel called Monsters University was coming out, I had to watch it! This movie was excellent and I really enjoyed watching it. 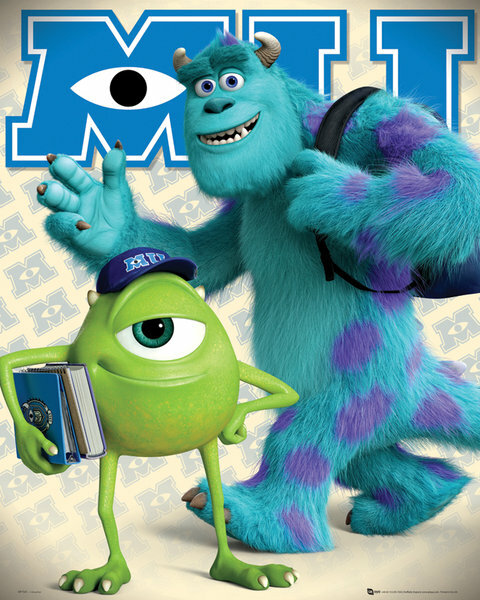 Monsters University was an animated comedy which had shown Mike and Sulley in the past. This movie had shows their childhood, conflicts and how they met each other in university. I absolutely loved this movie since it was entertaining and creative. I really enjoyed the story of this movie since it had shown how they got to Monsters Inc. together. If I were to rate this movie, it would get a 10/10. The reason would be because it is extremely hard to have the sequel be as good or better than the first movie and in this case, Monsters University was better than the first movie. Also, this movie was not like any other movie, this time we got to see the hardships faced and how Mike and Sulley struggled to become scarers. I found it creative that unlike every other movie, there was not an expected ending. I did not think that Mike and Sulley would get kicked out of the university since in most Pixar movies, there are not large twists in the movies. Therefore, this movie deserves a 10/10 due to the creativity and risks taken in this movie! Harry Potter is a well known series of movies and books. There were 7 movies (the seventh movie consisted of 2 parts) and there was also a book for each one. The Harry Potter series is extremely popular and the story for each movie was extremely creative. I enjoyed Harry Potter because there was a lot of action and twists and turns throughout each movie. That is the reason I watched all of them. It is very hard to make sure the sequel of a movie will be enjoyed by the audience and J.K. Rowling has created 7 movies with the audience captured with the story. Each Harry Potter movie was about different events but they all tied together which lead to the final movie about Lord Voldemort and Harry Potter's battle. Harry Potter had several phenomenal actors and actresses and these are some of the main characters: Daniel Radcliffe as Harry Potter, Emma Watson as Hermione Granger, Rupert Grint as Ronald Weasley, Tom Felton as Draco Malfoy, Palph FIennes as Lord Voldemort and many others. If I were to give a rating to the series, I would give it a 9.5/10. I fell in love with all the movies and I enjoyed all the action and mystery. The reason I did not give this movie a perfect core of 10 was because of the ending of the last movie. I thought that Lord Voldemort was one of the best characters throughout the whole series. I was feeling very frustrated when Voldemort died becasuse he was (in my opinion) one of the best. Overall I gave this movie a 9.5/10 due to the amazing story and the excellent acting. Everyone keeps talking about the movie Frozen because they love the songs and the story so I wanted to do a blog about it. Frozen is an animated movie that I personally love because it is the one princess movie where the "guy" save the girl. The movie mainly focused on two sisters and the man was not the hero... FINALLY. Frozen was about a two sisters named Anna and Elsa. Elsa had these powers that could freeze things and make it snow. Her parents have been trying to keep her powers hidden so that she would not bring danger to her sister since she already almost killed her. Then, there was a party in the castle and Anna found a man she wanted to marry. Elsa did not approve so she accidental lost control of her powers unleashing winter to the kingdom and ran away. Anna and the man she loved set out on a journey to find her sister and bring her back home. The voices of the characters were amazing and I absolutely love the actors and actresses. The voice of Elsa was done by Idina Menzel, Anna was done by Kristen Bell, Olaf was done by Josh Gad, Kristoff was done by Jonathan Groff and there were many other wonderful characters. If I had to give this movie a rating I would give it 10/10. The reason is because there are no other Disney princess movies where the hero was a girl. Also, I fell in love with the songs and my most favourite song was "Do You Want to Build a Snowman". Overall I would give this movie a 10/10 because the story was very creative, the songs were great and the actors/actresses were amazing. Be sure to watch Frozen if you have not already. The song "Same Love" has an extremely powerful message. We need to stop discriminating others and finding differences between each other. There is nothing wrong with being different and we should not be put down or looked at differently if we like someone of the same gender. This song also talks about how we do not recognize how many hurtful things we say. There is a line in the song which says "Man, that's gay" gets dropped on the daily". This shows that we don't notice how words can actually hurt. We just go around saying these inappropriate things without notice the impact and affect it has on others. Also, the word "gay" should not be used to separate each other. We use the word "gay" as an insult when there is nothing wrong with it. People are always going around saying "Wow your so gay" or "That movie was gay". Why does the word "gay" have to be an insult? The song also says "It's human rights for everybody, there is no difference! Live on and be yourself". We have the right to love anyone. Whether they are the same gender or different, there really is no difference. It does not matter if you are gay because that is who you are. You do not need to change due to others opinions. You need to be yourself. If you are gay, you are no different than someone who isn't. We should not set people aside because they are gay, there is nothing wrong with being gay and you need to be yourself. We should never let others opinions get to us because they mean nothing. All that matters is that you are staying true to yourself and not being blinded by our society. In conclusion, the song "Same Love" talks about being yourself and understanding that you do not need to change and others do not have the right to tell you to change because you are gay. In my opinion, we need to make more movies to spread awareness and those movies need to show us that there is no difference between being gay or not.